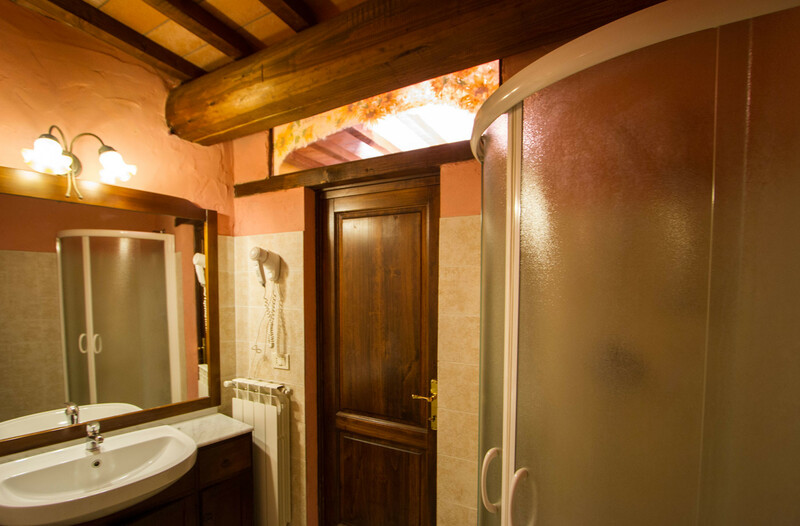 This lovely big apartment for tourist rental within the province of Arezzo consists of two double bedrooms, a bathroom with shower and a large living room with kitchenette. 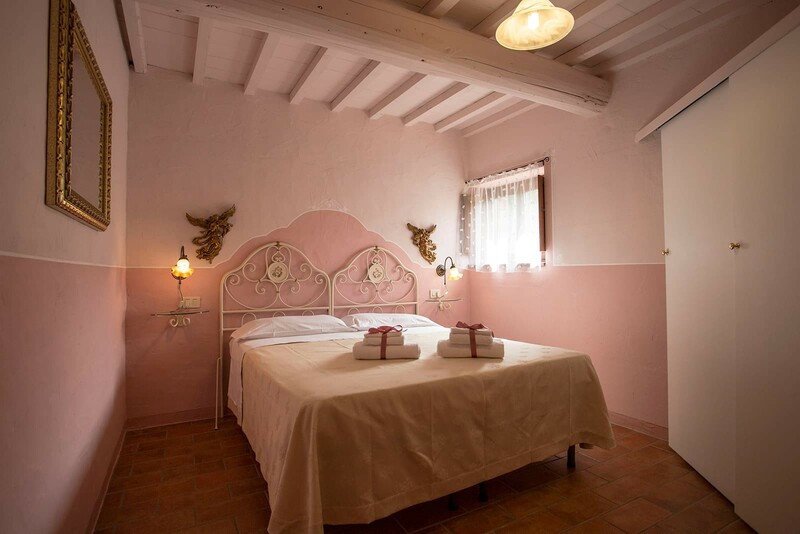 It is finely furnished with traditional pieces of furniture and painted in the traditional colours of the Tuscan countryside. 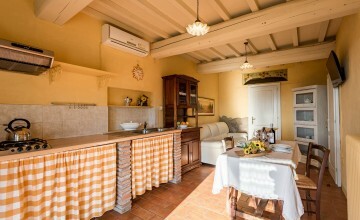 The name "Girasole" ("sunflower" in Italian) recalls the excellent Southern exposure of this bright and cozy apartment. 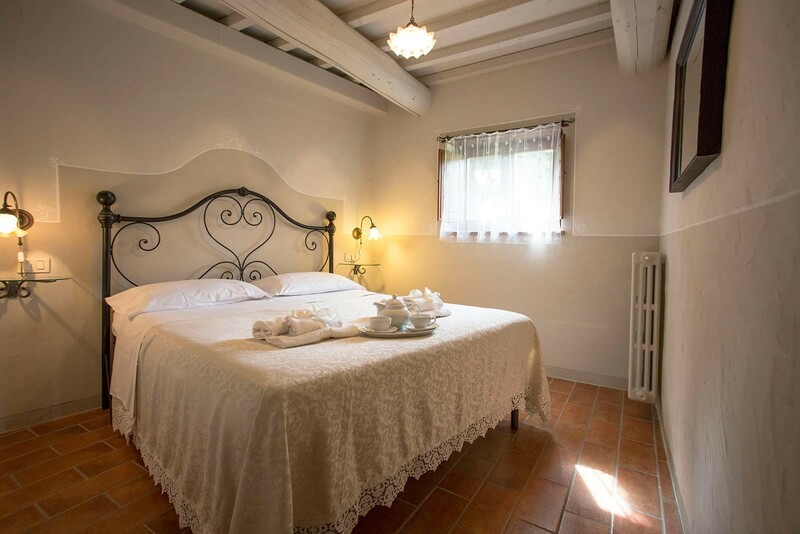 The apartment is located within the farm estate near the swimming pool. 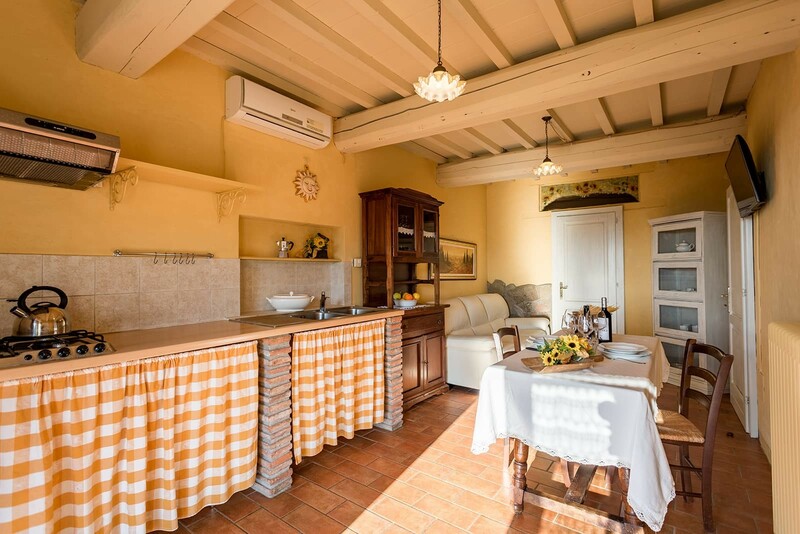 Guests staying in this apartment may take advantage of a neat and shady private garden from where one can enjoy a panoramic view onto the valley. This outdoor area is equipped with outdoor table with chairs and deck chairs. Every apartment in detached from the others and has private outdoor spaces made available to guests. 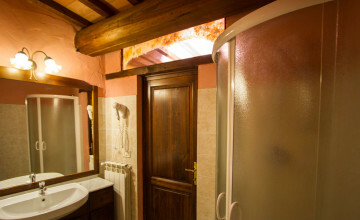 They all have a kitchen and a bathroom and are equipped with air conditioning, free Wi-Fi Internet connection and all other modern conveniences. Every apartment has a private shady area furnished with table, chairs and deck chairs. 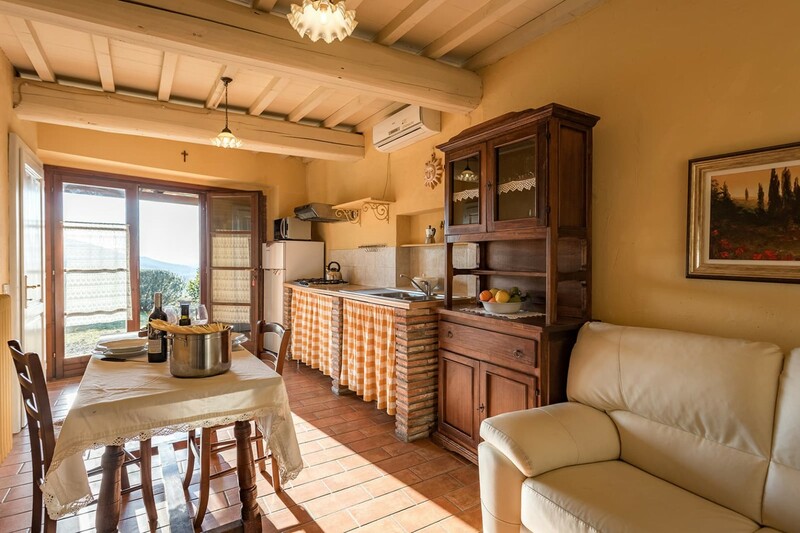 Our apartments for vacation rentals in Tuscany are the ideal accommodation to enjoy quietness, peacefulness and a beautiful view of the underlying Valle di Chio with the old medieval village of Castiglion Fiorentino and the Valdichiana in the background.